Pain pills made with opioids are called painkillers. These are the most habit-forming drugs you can get from a doctor. Once addicted to painkillers, it’s very difficult to get off. If you take pain pills long enough, they will increase your pain threshold. Pain increase caused by consuming painkillers is a phenomena called Opioid Induced Hyperalgesia (OIH). Opioid induced hyperalgesia (OIH) is a paradoxical response, wherein a person receiving opioid-based painkillers becomes more sensitive to certain painful stimuli. Not only does hyperalgesia happen, it’s more or less a common side-effect of painkillers and it begins at the very first dose. Anyone who uses painkillers can become dependent upon them. One of the dangers of painkiller use is that it can affect one’s desires, strivings, volitions, emotions, reasoning, learning and memory. As pain pill consumption worsens, logic and reasoning degrade, which can lead to unpredictable and frightening behaviors such as compulsive use and criminality. Painkiller dependence simply means a patient is susceptible to withdrawal symptoms if they stop taking pain pills. Painkiller addiction is different because addiction is based on behavior. Painkiller addiction is compulsively seeking and using of painkillers in spite of harmful consequences. Our recovery program is simple but it’s also very effective. We combine pharmacotherapies with natural supplementation. We use proven supplementation that compliments the treatment protocols prescribed by the physician. The purpose of supplementation is to support the body’s inhibitory systems. When inhibitory responses are firing, excitatory responses cannot. It’s the excitatory responses that cause opioid withdrawal. By directly suppressing excitatory responses with pharmacotherapies and supporting inhibitory systems with supplementation we deliver one of the most effective opioid detox programs in the country. Truth be told, many painkiller addicts try to detox at home first. It’s a very common mistake that typically ends in relapse. The main problem with self-detox is the potential for developing opioid withdrawal syndrome. Repeated exposure to opioid-based painkillers cause the body to make adjustments in order to keep blood flowing and the lungs breathing. Over time, repeated exposure results in an increase in locus ceruleus neuronal activity, which increases the baseline amount of noradrenaline. When painkillers are present they suppress and offset the increased noradrenaline baseline. The result is that painkiller addicts may only feel normal after they use and not necessarily high. 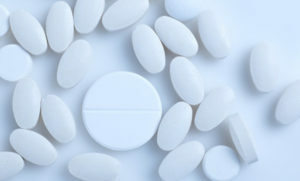 Consequently, if painkillers are abruptly discontinued, the higher noradrenaline baseline hyper-excites the Central Nervous System; triggering jitters, anxiety, muscle cramps, diarrhea and insomnia, which is opioid withdrawal. Opiate withdrawal is intensely unpleasant and addicts will do just about anything to avoid it, including visiting multiple doctors, switching to heroin and committing crimes to get money. Opioid withdrawal can last for days, but sometimes longer depending on how long and how much a person has been using. Acute withdrawal symptoms typically last about five days, but some discomfort may persist for weeks. It’s common for opioid addicts to have lingering sleep problems such as problems falling asleep and staying asleep. The key to avoiding acute and lingering withdrawal symptoms is to receive professional detoxification treatment services. Our painkiller detox program includes withdrawal-specific medications that ease withdrawal discomfort. Buprenorphine being the most common withdrawal-specific medication used during opioid detox.